Congratulations to Irish director Luke McManus (Psych Ward) who has been selected to take part in Channel 4’s Coming Up scheme. The scheme offers a platform to emerging writers and directors to produce a season of original half hour dramas, which will be shown on Channel 4. Luke McManus was shortlisted as one of 14 directors, after sending his showreel to the Coming Up panel. The Irish director then took part in a two day workshop alongside the shortlisted writers in London, where they got to work with talent and meet industry professionals including head of Warp Films Robin Gutch and DOP of ‘Hurt Locker’ and ‘United 93’ Barry Ackroyd. McManus has previously worked as a freelance director on television shows including ‘Room To Improve’, ‘No Place Like Home’ and ‘The Eleventh Hour’ and has made short films including ‘Danger High Voltage’ and ‘Monitor’, the latter of which was made through the RTÉ/Arts Council Dance On The Box Scheme. 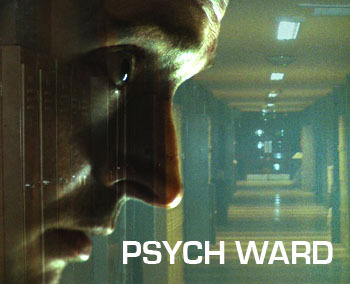 McManus was also behind the RTÉ Storyland competitor ‘Psych Ward’, starring Hugh O’Conor (Killing Bono, Your Bad Self) in 2009. Directors in the Coming up Scheme are now paired with a writer, and will go on to film the short in 2012, before the final half an hour programme will be aired on Channel 4 in Autumn of next year. Last year Channel 4/Touchpaper Television Coming Up Scheme saw IFTA winning filmmaker Cathy Brady (Small Change) direct ‘Rough Skin’. ‘Rough Skin’ stars BAFTA winning actress Vicky McClure (This is England) and Lorraine Ashbourne (Oranges and Sunshine) and follows a young woman on her release from prison as she if forced to confront a painful past.